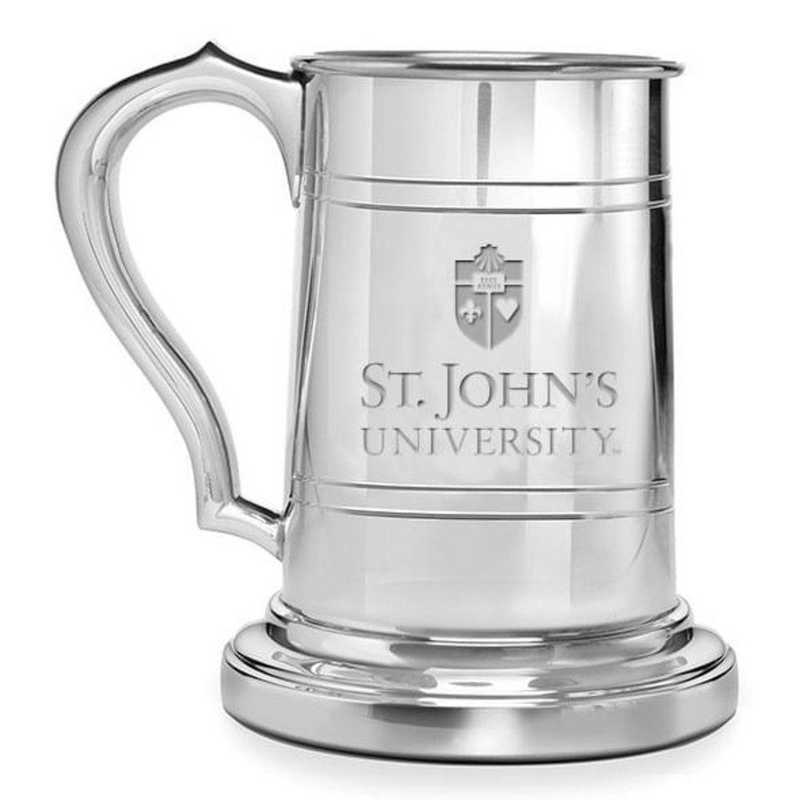 St. John's Pewter Stein by M.LaHart & Co.
Gear up your school spirit with the gift of awesome NCAA and college products. St. John's University pewter stein, handsomely engraved with "St. John's University" and St. John's shield, generously accommodates your custom-engraved personal message., 16-ounce capacity., Crafted from solid pewter with high-polish finish., Presented in our attractive gift box., Combine with our pewter frame or other desk accessory for a unique gift set., Officially licensed by St. John's University. Manufactured direct from a trusted supplier. You're reviewing:St. John's Pewter Stein by M.LaHart & Co.